Amaasing was inspired by the desire to maximize the potential of the traditionally significant product, Amasi. Amasi has significance in South Africa due to its reduced lactose content, nutritional benefits as well as its lower preservation requirements, in comparison to milk. 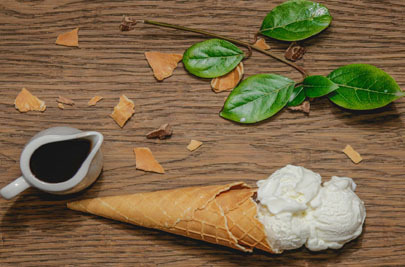 The whole idea behind Amaasing was to develop a treat, specifically catering for the needs of people who suffer from lactose intolerance and that love ice cream as a snack or treat. Amaasing therefore specifically targets Amasi lovers, while not excluding the broader market. The different flavour options further broaden the market, with exciting flavours already developed and a wide range yet to discover! This product is extremely creamy with a slightly tangy taste, similar to that of Amasi, however sweet enough to ensure full satisfaction for individuals that consume it. Amaasing is a proudly South African, lactose free, low cost, amasi-based ice-cream that is a source of calcium for individuals. Amaasing is sweet and creamy enough to appeal to non-Amasi eaters, while still catering to the expectations of Amasi-lovers. The added benefits of this product is that it is a source of calcium. Further testing for a possible claim on protein has to be conducted. Amaasing was also tested for viable lactic acid bacteria and it has been found that it does havea probiotic nature. The potential for Amaasing is great as it not only highlights a local resource, but offers a healthier snack option.